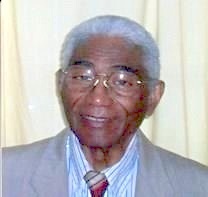 Elder George A. “Pop” Miller, 83, of Olathe, KS passed away on February 24, 2017 at Olathe Medical Center. Visitation will be held on Thursday, March 9, 2017 from 5:00-9:00 p.m. at the McGilley & Frye Funeral Home at 105 E. Loula St., Olathe, KS. Funeral services will be held on Friday, March 10, 2017 from 10:00-12:30 p.m. at the Gardner Church of the Nazarene at 16640 N. Moonlight Rd., Gardner, KS. Burial will follow at the Leavenworth National Cemetery, Leavenworth, KS. George was born on September 29, 1933 in Webb, Mississippi. He was the youngest of 12 children. He served and retired with honors in the U.S. Army in both the Korean and Vietnam wars. He had a Bachelor’s degree in Food Service Management and retired from USD 233 in the food service department. Elder Miller was a scholar of the Word of the Lord. He was the Pastor of Reaching Out for Souls Church in Gardner, KS, which was founded by him and his wife Kathryn. They also had a successful radio and jail ministry. He was preceded in death by his father William M. Miller; mother Katie G. Kelly; first wife Clara and 10 siblings. George is survived by his wife Kathryn Armstrong Miller, of the home; sister Theonya M. Robinson of Denver, CO; children; Carolyn Hunt; Harold Hunt; David Miller (Rhonda), Gardner, KS; Patricia Miller (Edward), Gardner, KS; Edward Armstrong (Catherin), Marietta, GA; Yvonne Armstrong, Olathe, KS; William Armstrong, Olathe, KS; Taivia Street (Jonathan), Richmond, VA; Queen Fiffer (Donnell), West MS; 19 grandchildren, 15 great grandchildren and a host of relatives and friends. Memorial contributions may be made to Reaching Out for Souls Ministry Church, P.O. Box 453, Gardner, KS 66030.